We are your office equipment pros! 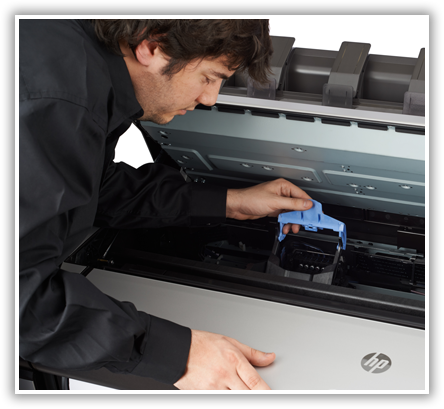 Our custom tailored solutions deliver plotters, multi-function printers and scanners that help your organization decrease costs and increase productivity. The combination of our highly trained service team and our industry leading manufacturers will help take your business to the next level. 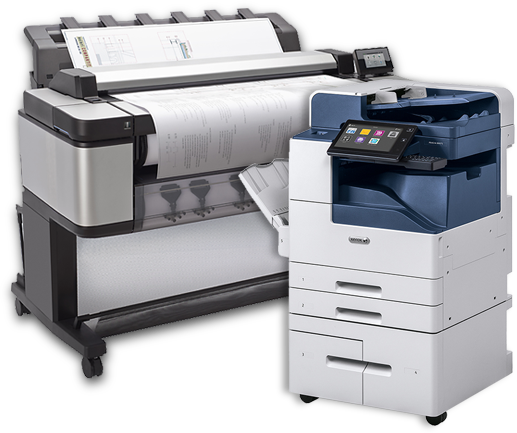 We don't just provide top quality print solutions, we also offer extensive service plans for every plotter, scanner and copier that we sell. With our online project management applications, we lead the way in cost effective solutions to maintain communication between your team members. Our online Plan Room gives project managers access to tens of thousands of contacts when searching for bidders. We can take any type of construction document; print it, scan it, and help you manage the information. CAD Conversion takes your existing drawings, maps and blueprints and converts them into a workable, editable vector file. We take a consultative approach to developing the right design and finding the right materials to display your message. Any business can acquire color printing and finishing equipment, but it’s our people that set us apart.